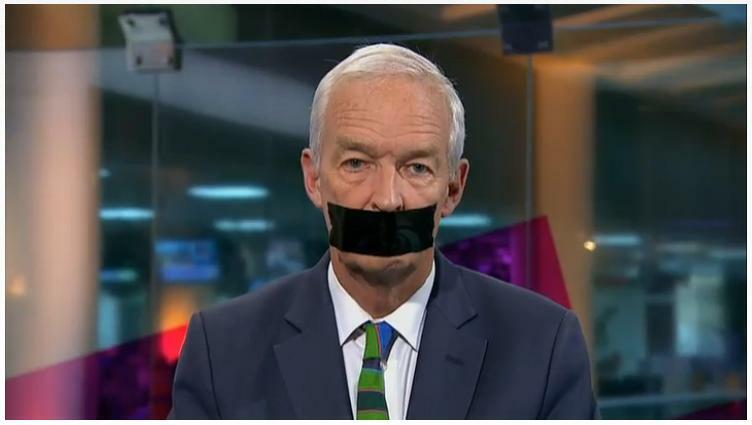 The sentences handed down to Al-Jazeera journalists Peter Greste, Baher Mohamed and Mohamed Fahmy sparked outrage and protest worldwide, with journalists across the globe taping shut their mouths in silent condemnation of the verdicts. 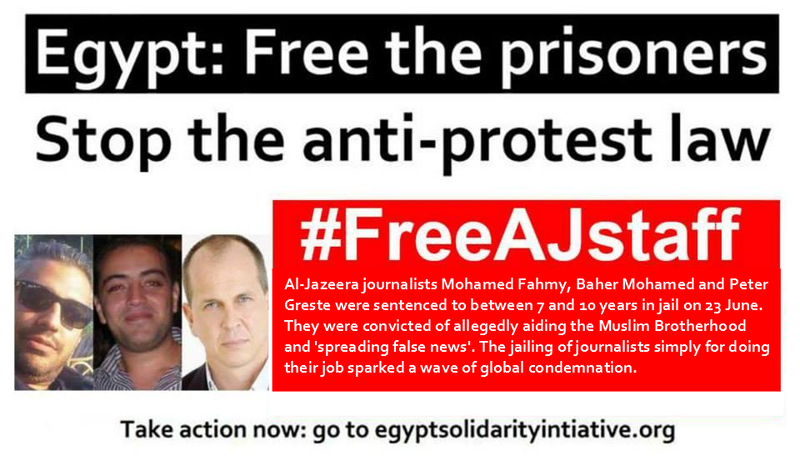 The three AJ staff members were given 7-10 year jail sentences for allegedly aiding the Muslim Brotherhood and ‘reporting false news’. The NUJ condemns in the strongest terms these sentences meted on journalists who were merely doing their job. This is an outrageous decision and travesty of justice made by a kangaroo court. Al Jazeera has rejected the charges against its journalists and maintains their innocence. This is a brutal regime which is attacking and arresting many journalists to attempt to silence them and prevent them from reporting events. The sentences on the Al-Jazeera journalists come after months of increasing pressure by the military regime on media workers. Their colleague Abduallah el-Shamy was held without trial for 307 days, and only released a few days ago after a lengthy hunger strike which severely damaged his health. Meanwhile on the same day the Al-Jazeera verdicts were announced, Mohamed Hegazy, a journalist for the Coptic channel Al-Tareq, was sentenced to five years in jail for reporting on sectarian violence in Minya. He was arrested as he filmed interviews with Coptic families whose homes had been burned down in Bany Obaid village.